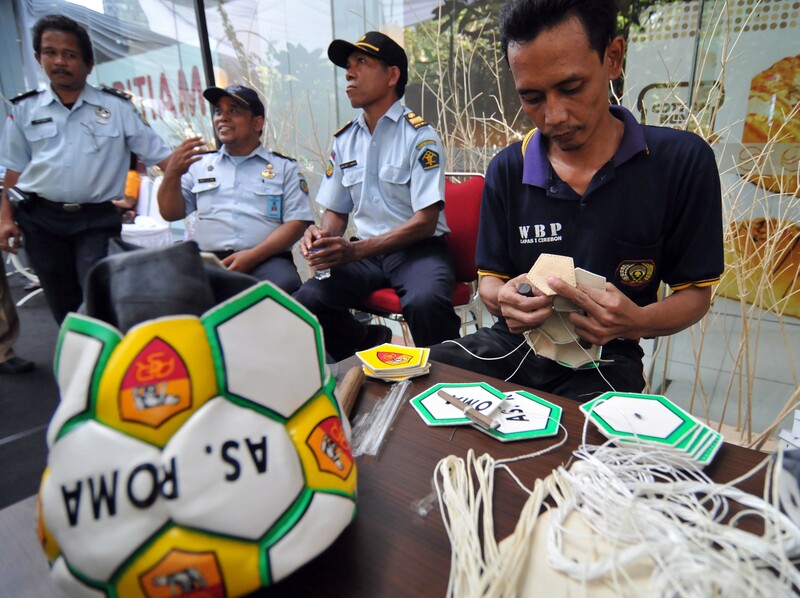 Ade, a 37-year-old prisoner at Cirebon Class One Prison, recently had the opportunity to demonstrate his skill making footballs at the Napi Craft 2012 exhibition in Jakarta. The event held December 17-21st at the East Building, Mega Kuningan, South Jakarta, was intended to show that inmates – napi – can be creative, innovative and productive. Ade, who is serving a six-year sentence, said he enjoys making footballs because it allows him to develop his abilities and keep busy. The father of a six-year-old boy is also hoping to use his skill to work in a factory or establish his own business when he is released from prison two years from now. “I can make four to five footballs in a day. If the material is soft, it only takes me an hour to make one football,” Ade told Khabar Southeast Asia. 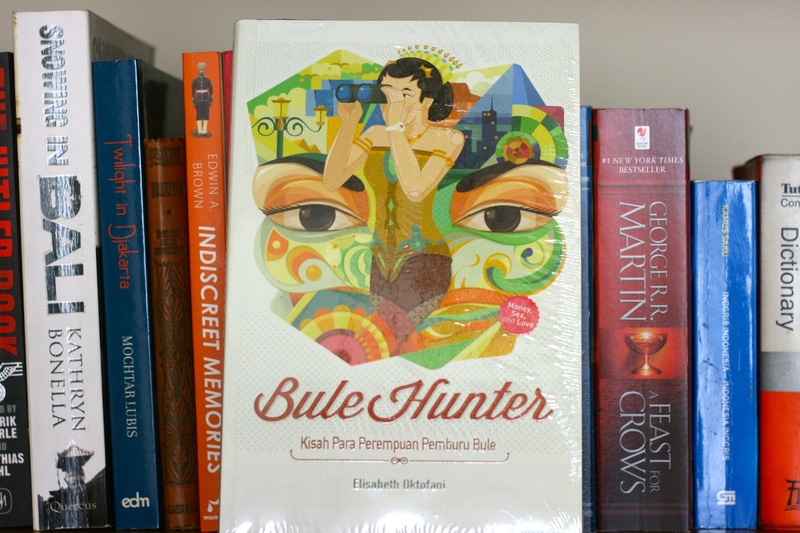 Some 149,873 inmates are incarcerated across Indonesia, according to the Ministry of Justice and Human Rights, which sponsored the exhibit. “That number has great potential and can be used to produce certain types of products. So it also can support government programmes in economically creative ways,” said founder of Napi Craft 2012 Evi Amir Syamsuddin during its December 17th opening. She is wife of Minister of Justice and Human Rights Amir Syamsuddin. “Other than that, the exhibition is also expected to improve the inmates’ quality of life as well as their welfare – especially for those who join the Prisoners’ Workshop,” or Bengkel Kerja Naripidana,” she said. Ismail Nasrul, a public relations representative from the Directorate General of Corrections, told Khabar his department is putting greater emphasis on marketing prisoner products to help motivate inmates to join the skills training workshops. Though many inmates think the training is a waste of time, he said, because they are unsure how to market what they make, false eyelashes made in West Java’s Garut Penitentiary have already found customers in Taiwan, Switzerland and China. In total, more than 1,500 products were displayed at Napi Craft 2012, including artwork, false eyelashes and synthetic rattan chairs. On the third day, six paintings ranging in price from Rp. 5m ($518) to Rp. 17m ($1,761) were sold. “The income from the sale will be given to the inmates upon their release. They will have their own money to start a new life because not all of them will be simply accepted by their own family,” Ismail said. Arum Wahyuni, 26, an exhibition visitor, said she was impressed with several of the products. “I would say that many of the handmade crafts are properly made. It is also amazing that those fake eyelashes, which were made by prisoners, are exported to other countries,” she said. “I just hope that when they are released from prison, they use their skills to start a new, creative and innovative life, especially knowing that they have the ability to be a better person,” Arum added.